List by February 15th to get in Niche! List your 30A or Destin property with us by February 15th to get it featured in the Spring/Summer 2013 issue of Niche, out this April! * e-mail us with your mailing address to request a complimentary subscription if you don’t already receive Niche by mail! 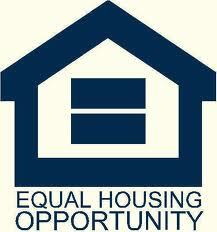 For more information, call Christina Meinen at 850.974.9704 or Andy Meinen at 850.419.4777. Andy and Christina specialize in listing and selling real estate along 30A, Destin and Sandestin, as well as Seacrest Beach, Rosemary Beach, Alys Beach, WaterColor and WaterSound. List by August 15th to get in Niche! 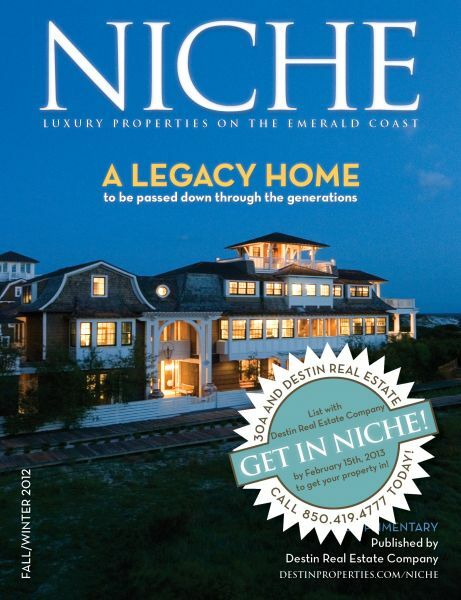 List your 30A or Destin property with us by August 15th to get it featured in the Fall/Winter 2012 issue of Niche, out this October! features a circulation of 30,000 copies each issue. has been published twice each year by Destin Real Estate Company since 2005.
is mailed to over 8,000 prospective buyers each issue. generates over 1,000 calls each year. can be found on newsstands at 30A and Destin Publix grocery store locations. Call Christina Meinen at 850.947.9704 and Andy Meinen at 850.419.4777 to get in Niche!